Version 1.4.5.0 has been released and ushers in all the design changes to oziTarget to help make your flight planning and navigation even easier than before. The change log is huge and I have to thank the work done by various pilots all around the world in submitting ideas and bugs along the way. Here is the list of what is new or changed. It may be easier to just download it and poke around! If you are updating, please allow a few days of playing with the new version to make sure you are comfortable with it before heading into a competition. – Task Rings. New layout design for a much smaller tool on the screen. The keyboard is now optional to save space. – Task Rings. Ability to draw a series of arcs instead of a full ring to help keep the map clear. – Windreader Data: New Windreader layout including unlimited entries. – Windreader data: Data can now be drawn at any point on the map, not just waypoints. – Windreader data: Data rows selectable so you can draw some or all of the data in the windreader list. – Windreader data: Experimental windreader data import for Windwatch and Wondsond systems. CSV files can be read but more checking needs to be done with regards to units and file formats but seems to be working enough to play with. – Waypoint Tools. A new tool for seeing the 8 figure grid reference, moving and rounding a waypoint by its grid reference and creating waypoints by just the 8 figure grid reference. Particularly helpful for fast and accurate entry from a task sheet. – Waypoint Tools. Point and Click generation of waypoints so that they include elevation data if available. – Scoring areas. Scoring areas can now be drawn as open lines rather than defaulting to a closed loop. – Scoring areas. Scoring areas can be drawn on track #1. Right click in scoring areas to select this option. Helpful if you are setting up a map and want to edit or work with the tracks further. – Multiple waypoints. 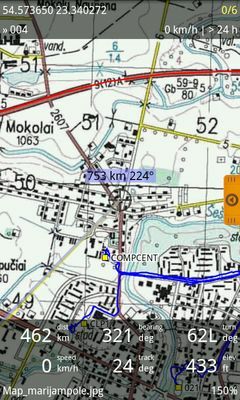 Tracking of multiple waypoints has been totaly re-written. Use the context menu to access settings. 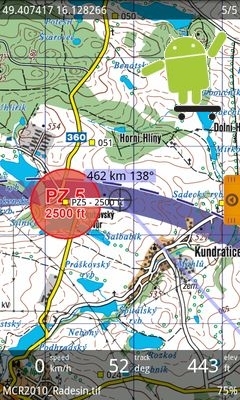 Currently limited to tracking 4 waypoints. Scream if you need more. – Multiple waypoints. Multiple waypoints now stores the last used waypoints and re-loads them when you re-open the window so you don’t loose them every time you close that window down. – Track Hold. You can now manually enter a direction on the main screen for drawing at a waypoint. Just a bit easier if your crew give you a surface reading for example. – New limitations on the usage under Trial mode. – Keypad. I have written a new on screen keypad that can be hidden when not in use. The little icon that looks like a keypad (I hope!) will open it from any of the windows that you may want it from. If you like the full Windows OSK then mine will not get in your way. – User grid settings added for Transverse Mercator maps (as used in Austria or Swiss Nationals for example). – Icons now used for most features to reduce the size of buttons and making key items more recognisable. – All windows now remember their last location. – Extensions/Plug-in system. This is a big change so I can work on modules separate from the main code. The first plug-in is the altitude simulator for sending simulated altitude data to oziTarget when sitting at your desk. – A proper help file is under construction. It is accessible buy hitting F1 on most windows or from the Help Menu on the main form. – Registration can now be entered by copying a supplied “licence.xml” file into the oziTarget directory. Manual entry can also be done but this solves the issue of typing in a long and complicated registration code. This entry was posted in Software and tagged oziTargets on June 29, 2014 by phz.